Hi everyone! 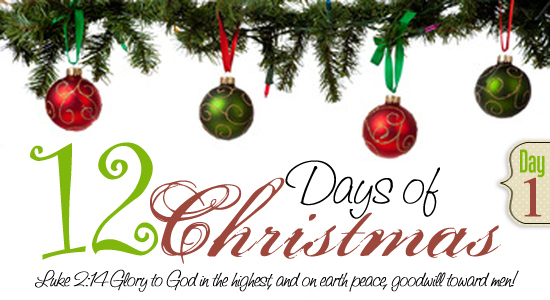 I absolutely LOVE Christmas time and I thought it would be fun to do a “12 Days of Christmas” blog series! So over the next 12 days I’ll be sharing some of our favorite Christmas traditions, crafts, printables and more! I hope you enjoy the season! I’m always so excited to create wonderful traditions for our children. These are the types of things they will remember when they’re older, and even pass down to their own families. Since Christmas is my favorite holiday, each year we do something fun for the Advent season. 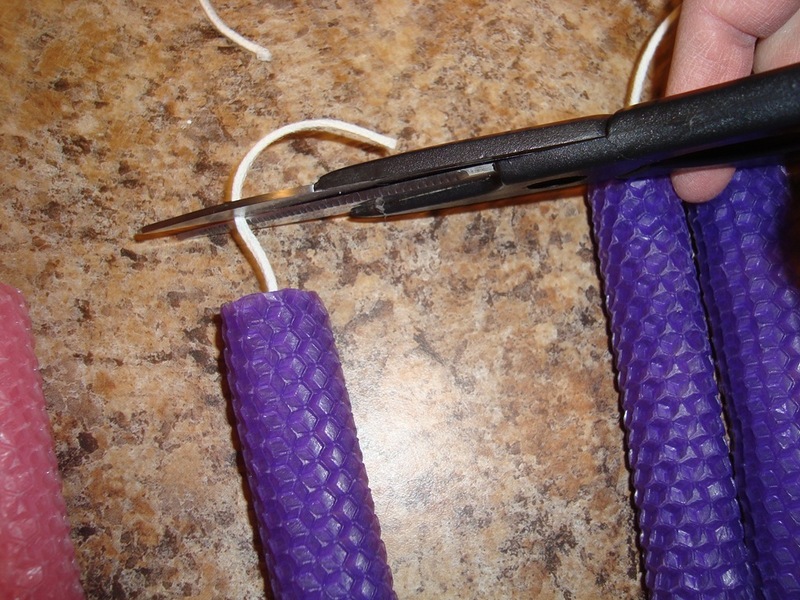 This year I ordered some Make your own Advent Candles and Bartholomew’s Passage for our Advent reading. 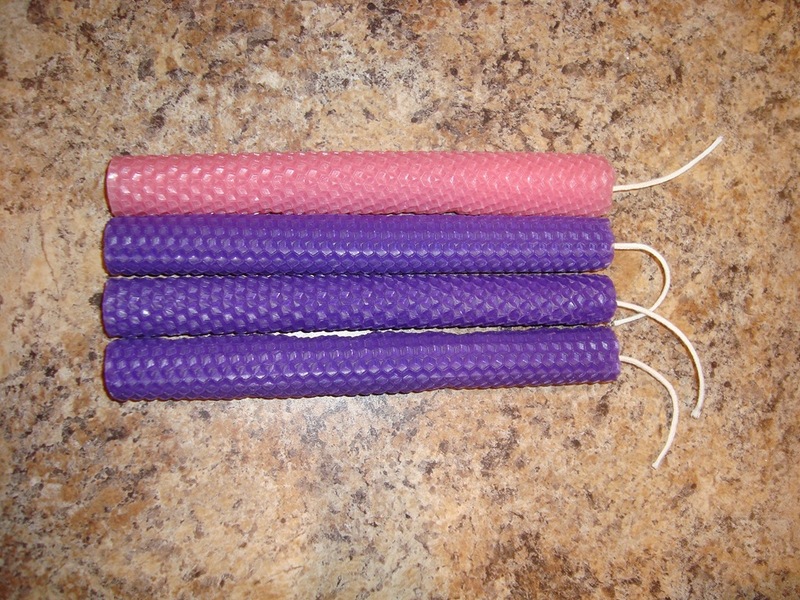 The candle kit comes with 5 Purple sheets, 2 Pink, 2 Ivory, and the wicks. 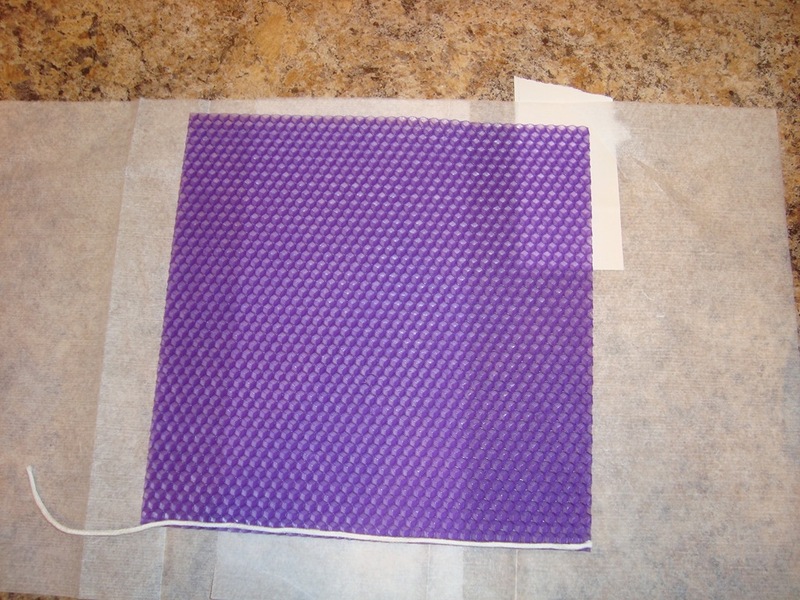 They have updated the kit since I ordered, so now they come with instructions, but if you get your sheets from somewhere else I’ll show you how we did it. 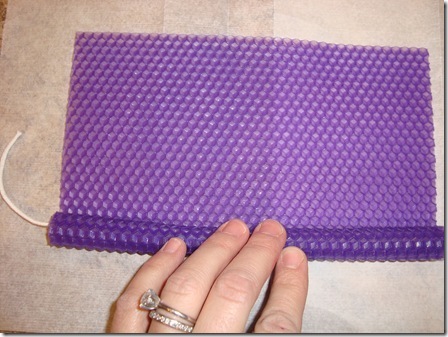 First, using your blow dryer on the “low” setting, quickly warm the wax sheet just a tad. I laid mine out on some paper just to keep it from sticking to my counter top. 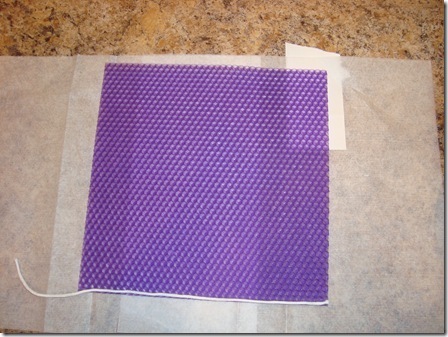 Next lay a piece of wick along the very bottom of the wax sheet. 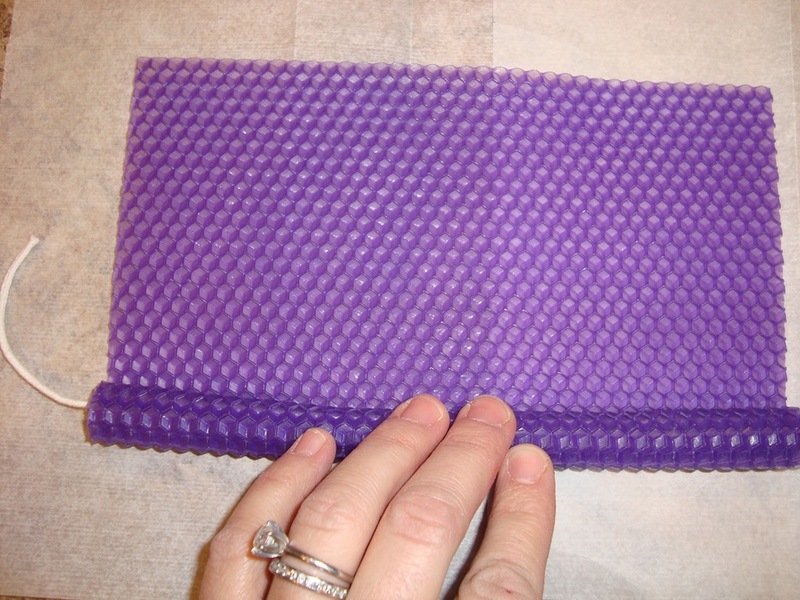 Then carefully roll the sheet of softened wax paper up around the wick. Make sure to keep it straight as you are rolling. 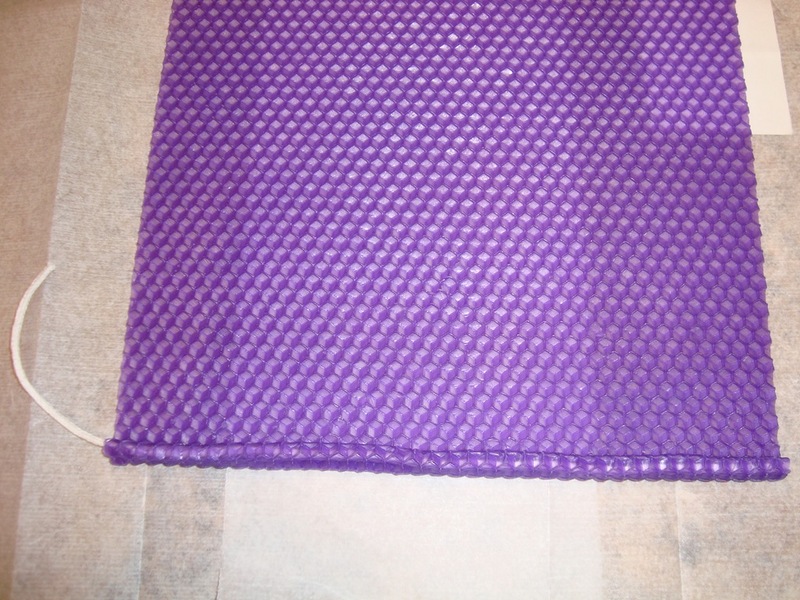 Continue to roll the wax sheet pressing gently. 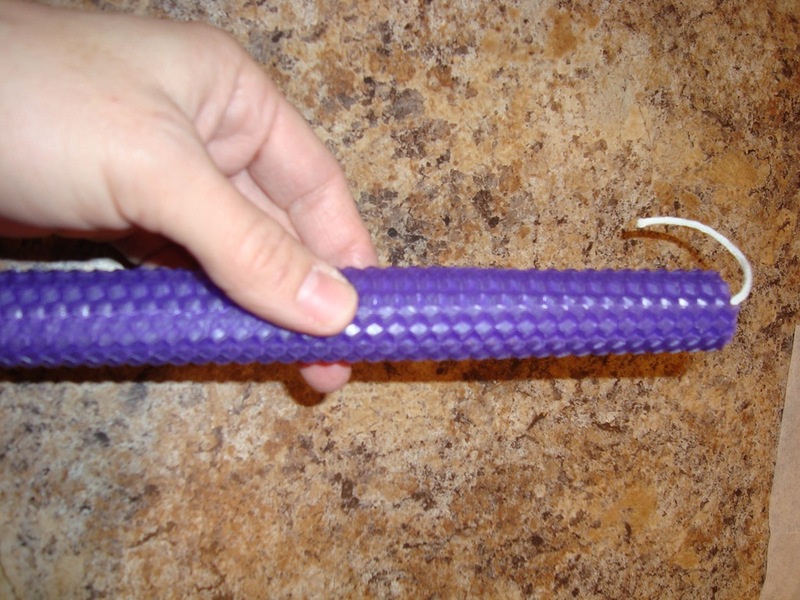 The wax will naturally stick to itself. 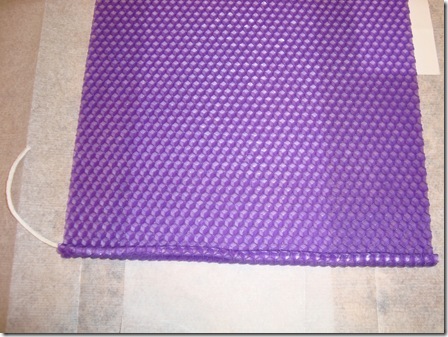 Once your sheet is completely rolled up, gently press in the edge to secure it to the candle. Next trim off the excess wick leaving about 1/2” of wick above the candle. 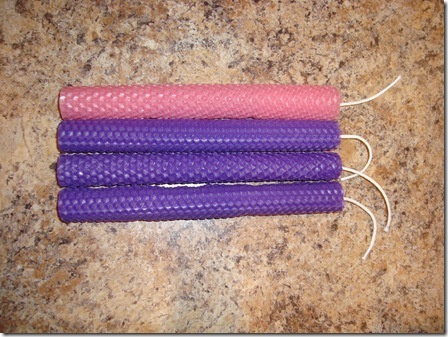 Repeat with the remaining colors to complete your set of homemade Advent candles! Each night, light the candles as you read a chapter from your book. 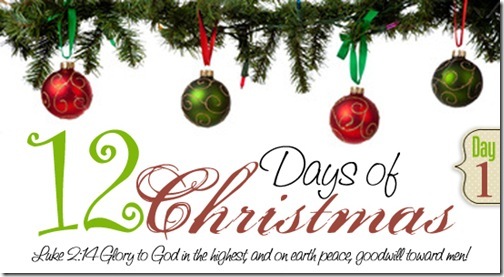 If you’re not up for purchasing a new book, you can always read your favorite Christmas stories each night, then on Christmas Eve read Luke 1-2. 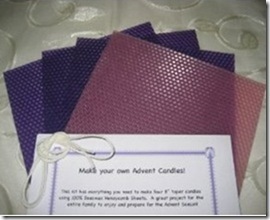 Looking for more ideas for Advent? what a lovely and simple idea! thanks for sharing and i look forward to your other Christmas posts. It is my favorite time of year!! 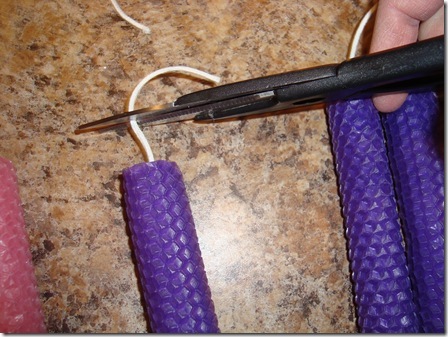 That candle making kit is such fun (my kids loved it last year). The downside? The candles burn through incredibly fast. I had to end up purchasing additional candles after that first week, though now the kit does include some extra sheets. What fun! Those candles are beautiful! Those candles look fun. 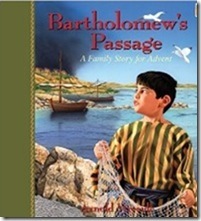 We read through Bartholomew’s Passage last Advent. This year, we have started Jotham’s Journey. These are such great books. The kids beg me every day to read “just one more” chapter. They can’t wait to find out what happens in the story. Those candles are so neat. I’ve never seen any like those before. So cool. Such a neat craft idea! Thank you for sharing. Christmas time is my favorite time of the year as well. I was just wondering, would you have a nativity scene activity or craft idea?